Discussion in 'Android News' started by DroidModderX, Oct 15, 2015. My favorite wall charger of all time is on fire sale right now. 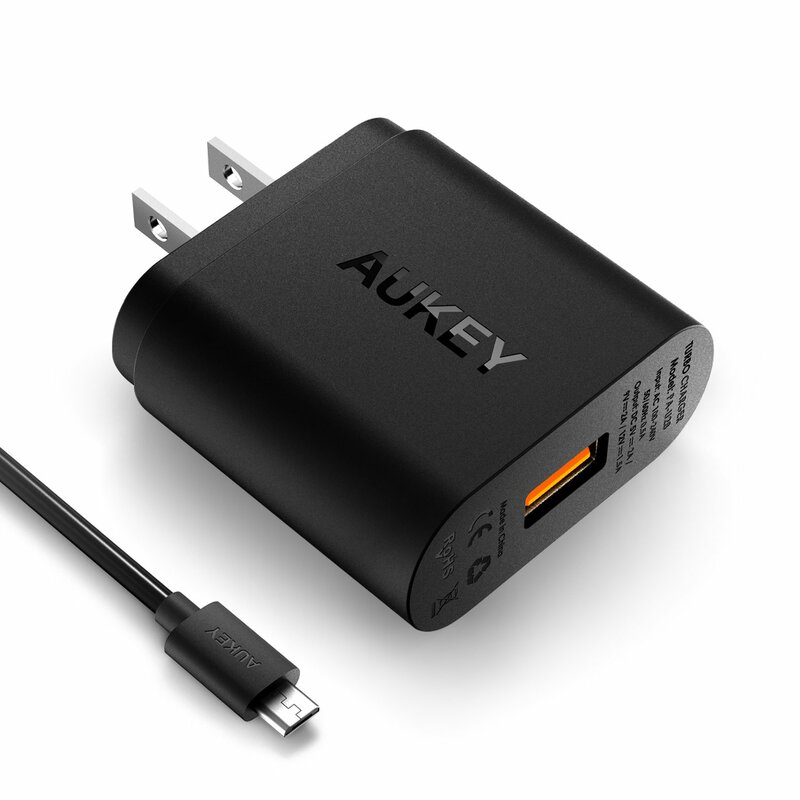 It looks like Aukey is making way for the new Quick Charge 3.0 standard that is just around the corner. I have had several of these charges from Aukey and they have all held up pretty well. This charger is compatible with most flagship devices released in the past year. Anything supporting the Quick Charge 2.0 standard! The list of supported devices is long. Some devices like the HTC One M9 and the LG G4 did not ship with a quick charger so you would have to order the charger from them directly or go with a 3rd party quick charge like this one! This charger is normally $39.99, but you can get it right now for only $6.50 with the coupon code below. At this price you should buy 2 or 3 this way you don't have to move the charger from room to room! Yeah, you need to order them one at a time.